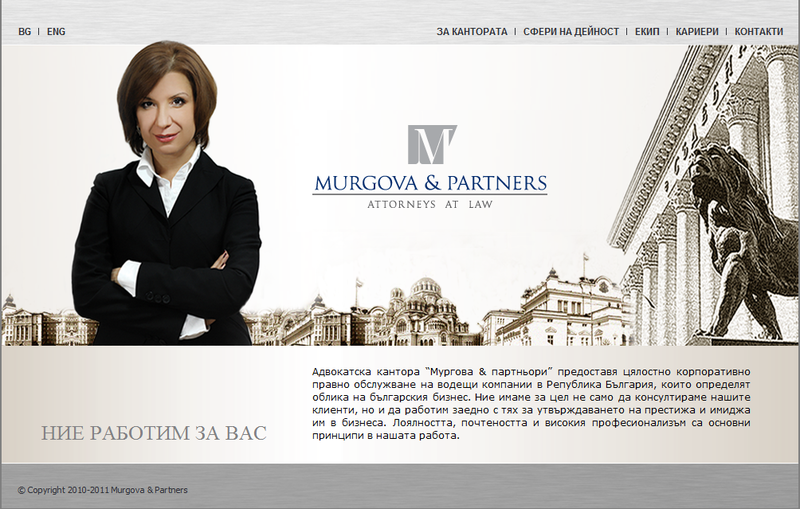 The Murgova and Partners law firm trusted me with the programming of their website. I am quite happy with the way things worked out between us and am glad that I was able to make it so quickly when they were in need. The firm is happy with their website and the idea that they have the ability to manage it themselves using the easy backend interface. They also know that they can trust me to do whatever upgrades necessary thanks to the flexibility of the symfony PHP framework, which I am falling in love with lately. I encourage you to visit their webpage and get to know these professionals better. I am sure that my work with them is just beginning to show its potential and we will be able to achieve great things combining our skills. You have to admit – you always need a good lawyer in Bulgaria these days, right?